How do you figure out what a meeting cost? It may seem difficult to figure out how much a meeting costs, but at its core it’s quite simple. To calculate it in the most basic form, you need to think about how much an hour of your employees’ time is worth individually. Let’s say you have an employee who you pay 40.000 SEK (USD 6000) per month (let’s not take taxes and fees into consideration in this example). What is the total number of hours they typically work per month? On average we can say there are four weeks in a month, and 40 hours in a work week (when calculating your own cost you’ll want to be as specific as possible). So when you divide 40.000 SEK (USD 6000) by 160 working hours per month, you wind up with each hour costing you 250 SEK (USD 37,5). Now that may not seem like a lot for an hour meeting. But how many participants are in that meeting? If it’s ten, then you can estimate that one one-hour meeting is costing you 2.500 SEK (USD 375) in labor! But cost doesn’t really stop there. 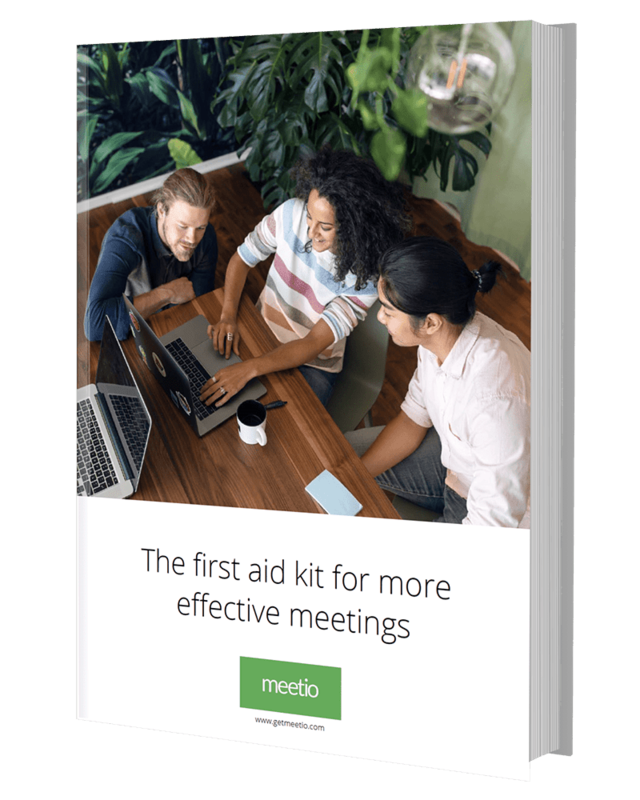 Because for every meeting you hold, that’s less time your employees can be working on client projects, finishing deliverables, or being productive in other ways. And one hour meetings tend to add up. Let’s say your organisation holds an hour meeting every day. That adds up to 12.500 SEK (USD 1875) per week, roughly 50.000 SEK (USD 7500) per month, and potentially 600.000 SEK (USD 90 000) per year! Not to mention the actual costs of bringing in lunch or catering, providing coffee and cakes for Fika, and the cost of any materials used in meetings which could easily be emailed as digital documents. Many employees often feel that meetings are a waste of time, and depending on when they are held, and how suddenly they are arranged, they can actually be damaging to productivity. If your employee is in the middle of working on a project and a last minute meeting is called, you need to think about the cost that meeting is accruing based on the lack of productivity that is now happening. Then after the meeting, it may take your employee several minutes to get back on track with what they are doing, or maybe there is now a more urgent task that needs finishing. Jumping around from task to task before completion can also be a major time consumer and drain on resources, and abrupt meetings certainly add to this problem. Especially if you’re in an industry that charges clients, such as consulting, you should also consider the costs of meetings against what you charge your customers. If your agreement allows you to invoice for internal meetings regarding the customer, then you are probably in the clear. But if you spend time on meetings that are not allotted beforehand to the client, you may wind up using a large portion of your incoming revenue from that client on meetings. Calculate what you’re bringing in from each of your customers, and calculate the average spend on meetings in regards to their specific projects. You may learn you aren’t making as great a result as you previously thought, and it’s likely you need to re-prioritize your time. Even if your company doesn’t work with services, product-based companies typically care about the same type of numbers and KPIs. When calculating the Cost per Acquisition (CPA) for a new customer, the Return on Investment (ROI) for marketing or sales, or the estimated Customer Lifetime Value (CLV) of your customers, you need to be taking your meetings into consideration to get an accurate result. Without calculating the cost of your meetings, you could be missing out on a large spend that impacts your total revenue. Could meetings be a secret money drain in your organization? Chances are if you don’t have a handle on what they are really costing you, they are heavily impacting your bottom line. Being organized in your calculations of costs versus revenue will help you to determine what is important in your company, and improve your overall results.